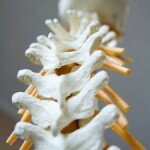 Though the chiropractic profession has changed dramatically since it’s inception by D.D. Palmer in 1895, there are still a couple of common myths that seem to follow chiropractors around! Here are two of the most frequent myths we hear often—we hope after taking a look, you’ll help us put these myths to rest! Did you know that there are published studies indicating that chiropractic care is an effective and proven modality for health and wellness? In fact, a paper in the Annals of Internal Medicine found that patients who were dealing with neck pain felt a 75% reduction in their symptom after undergoing 12 weeks of chiropractic care. If you’re dealing with pain or simply don’t feel your best, we want to help you get better! At Panorama Chiropractic, we want you to know that adjustments with us are completely pain free. In fact, after being adjusted, most patients experience a great sense of relief immediately following. Patients often feel relaxed and ready to take on the rest of their day. In addition to being pain free, adjustments are effective in helping patients overcome headaches, back pain and other spinal-related conditions. Following an adjustment, a patient may feel sore or tender, especially if we’re working on moving a joint structure that has been resting in the wrong position for months or years. Ready to give chiropractic care a try? 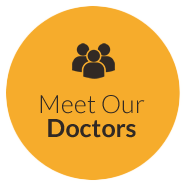 Contact our practice today to get started. We look forward to helping you live your best life!